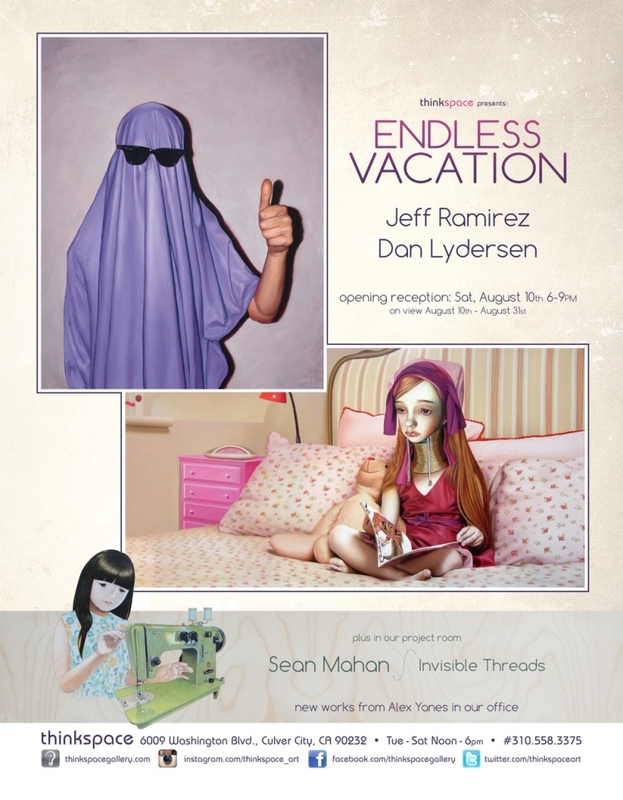 On view in the Project Room, Thinkspace is pleased to present Sean Mahan’s Invisible Threads. 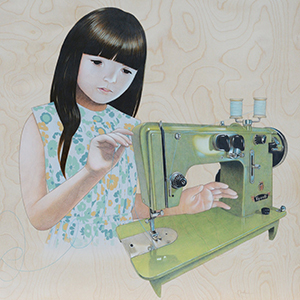 Mahan’s delicately executed acrylic and graphite works on panel explore a nostalgia of sweetness and incorruptibility. As an artist, Mahan’s interest resides in the visual exploration of an idea of innocence, and in the expression of an empathetic view of the subject’s relationship to structures of power and authority. Often looking to imagery that conveys a gentile and dreamy sweetness, or to the unfettered chastity of childhood, the artist creates redemptive pieces that seem to suggest a state of perpetual grace in spite of a deeply conflicted external world. The artist’s formal rendering perfectly conveys the un-compromised state of innocence suggested in the imagery of the work. Beautifully executed with subtle washes of acrylic, and fine lines of graphite, the works have a gossamer like quality that seems to float within the organic panel. The palette is muted and feels distinctly nostalgic, like a vintage postcard from an idealistic and bygone era. The subject is at times placed in contexts that suggest an external conflict, or at least the presence of an irresolution, but something unassailable and resilient withstands the suggestion of looming compromise. Often dreamy, withdrawn, and even melancholic, a quietude pervades the subjects of the work. As the title of the exhibition suggests, something quiet, binding, and invisible is at work within the fabric of the human spirit.